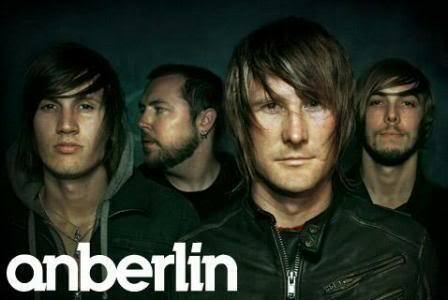 Anberlin is an American alternative rock band from Winter Haven, Florida. Formed in 2002 with 5 studio albums up their sleeves, they have established themselves as a household name in the Alternative Rock culture worldwide. Anberlin make music that combines rock, punk and emo, although their overall sound leans closer to streamlined rock ‘n’ roll than to those other genres. At the same time, they flaunt a pop accessibility and compact song structures, which allow their albums to have immediacy to them. And with their latest release, ‘Dark Is the Way, Light Is a Place’, past September, Anberlin is stronger than ever with continuously expanding fan base and with more maturity to their sound. • Labels : Universal Republic, Island (UK),Tooth & Nail • The band’s third album, Cities, was released in 2007, and became their first album to reach the top 20 of the Billboard 200 • The album titled New Surrender peaked at number 13 on the Billboard 200, with the first single, “Feel Good Drag”, claiming number one on the Alternative Songs chart, after 29 weeks in the chart. After playing in front of as many as 30,000 people in various countries such as Australia, New Zealand, Japan, and many more, Anberlin will be touring Southeast Asia, including Thailand, for the first time.